Aviation Updates Philippines - Low-cost carrier Cebu Pacific Air is providing more payment options for its valued customers in time for the holiday season or the holiday rush. More passengers will be travelling in the holiday season in order to visit other places. Cebu Pacific launched its "Pay Within 24 Hours" option for passengers without credit cards to conveniently book a flight. Photo by Gabriel de Cadiz - PPSG. "We remain committed to giving more travelers the chance to fly. By offering options, passengers are empowered to choose their own flights and the most convenient method of payment for them," Cebu Pacific Vice President for Marketing and Distribution Candice Iyog said. With more than 1,400 branches of 7-Eleven here in the Philippines, the network joins ECPay and 1,800 branches of Cebuana Lhuillier in accepting booking payments for Cebu Pacific flights. Cebu Pacific has launched its "Pay Within 24 Hours" option for booking payments. Passengers will be able to book online and upon reaching the payment page, they are now able to choose the new option. This option allows customers to book their flights quickly online without using credit cards. Passengers have to take note their 12-digit number with the total amount to be paid, before they pay over-the-counter within 24 hours to the nearest branches accepting payments. After the transaction, passengers will be notified about their confirmed itinerary through their e-mail accounts. "CEB also offers a list of "Pay before 11:59pm" payment center options, which mostly involve over-the-counter transactions in banks and remittance centers. Payment center options are also available for bookings made through the reservation hotlines," Cebu Pacific said. For bookings and inquiries, guests can visit www.cebupacificair.com or call (02)7020-888 or (032)230-8888. The latest seat sales can also be found on CEB's official @CebuPacificAir Facebook and Twitter pages. Guests may download the Cebu Pacific official mobile app on the App Store and Play Store. 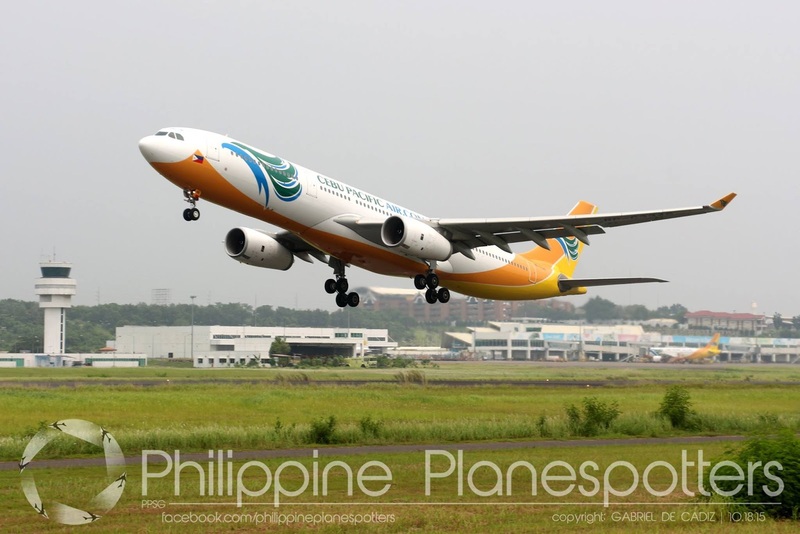 CEB's 55-strong fleet is comprised of 8 Airbus A319, 33 Airbus A320, 6 Airbus A330 and 8 ATR-72 500 aircraft. It is one of the most modern aircraft fleets in the world. Between 2016 and 2021, Cebu Pacific will take delivery of 5 more brand-new Airbus A320, 30 Airbus A321neo, and 16 ATR 72-600 aircraft.